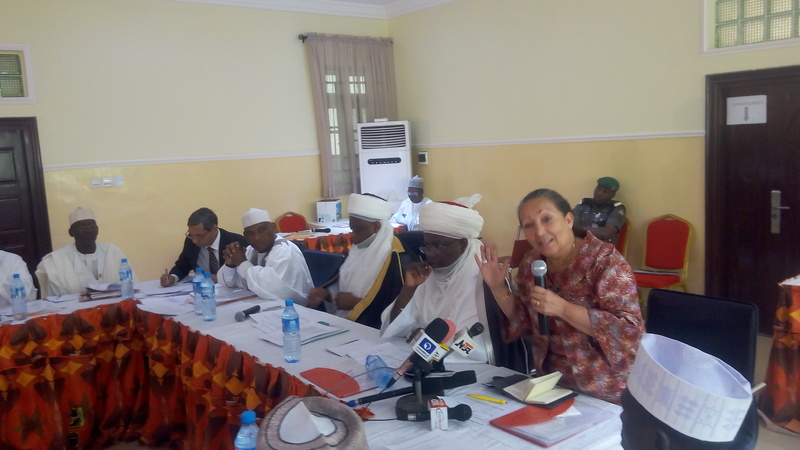 Worried by clear education gap between Southern and Northern Nigeria, United Nations Children’s Fund (UNICEF), in partnership with Sultan Foundation for Peace and Development and Northern States government, rose from steering committee meeting to review education sector in the region with particular focus on that of girl-child. Sultan of Sokoto and President-General, Supreme Council for Islamic Affairs, Alhaji Sa’ad Abubakar (III), who chaired the meeting on Saturday in Kaduna, lamented the misconception about the girl-child and Almajiri’s education in the region, describing the concept of Almajiri as unislamic, adding that there is need for urgent action to create more awareness to accelerate enrollment in schools. The foremost Northern traditional ruler said, “UNICEF and Sultan Foundation’s relationship for Peace and Development underscores the importance of educating the girls and to remove the perceptions that the place of the girl-child is in the kitchen or the home. “We believe an educated girl is better in bringing up better family and citizenry to the world because we all know the importance of our mothers. “They trained and brought us up, if you check the lifestyle of an individual if its good, check the family background; and if bad check the family background. The women play that important role of bringing up the society. “In Nigeria we don’t pay much attention to girl child education. “As we all know an educated woman is more an asset than uneducated one or even educated man, you must be knowledgeable to lead. To rule you must be knowledgeable. Coordinator, Sultan Foundation, Emir of Argungu, Alhaji Samaila Muhammad Mera, urged the 19 Northern State Governors to provide necessary facilities in primary and secondary schools to ensure the success of education policies and interventions. He further added that part of what the commissioners for education in the North is to plan the actions that will accelerate girl-child education, first, by a way of removing obstacles that have so far hindered the process. Representative of UNICEF in Nigeria, Jean Gough, who noted that education remains the cornerstone of everything without which there cannot be reduction in poverty in any country, remark that there is a need for prime movers in the region to mobilize their people to schools. According to Gough,”Education is the hardest sector to transform. Children in the North-east have already lost two years of education due to insecurity. We believe the leaders from North will join hands with President Muhammadu Buhari’s education goal for the real change to take place. “We know Nigeria is working to achieving the goal of President Muhammadu Buhari in transforming the education sector. We hope this year 2016 will be a year of true change. “Change can only happen when leaders in Nigeria are in partnership with all second of education and when proper action is taken,” she stressed.